It looks like Kash Biermann is healing up nicely! 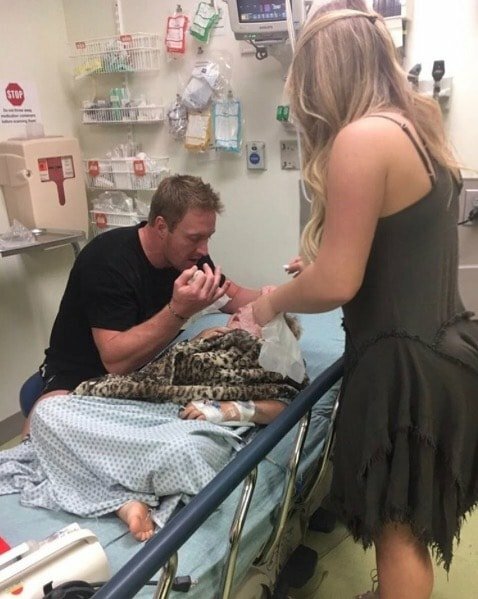 Reality star Kim Zolciak shared another update on Kash’s dog bite and included a photo of the wounds he suffered. And it’s seriously breaking our hearts to see his injuries! Poor little man. Kash was bitten and rushed to the emergency room just two weeks ago, causing Kim to have to bail on her scheduled WWHL appearance. She thanked the doctors and nurses for doing everything they could to help their family during the scary ordeal. 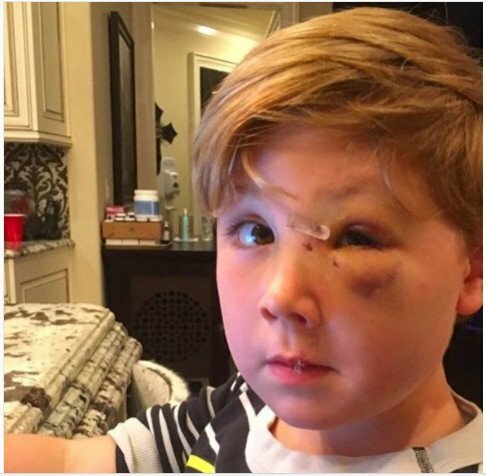 On Sunday Kim Zolciak‘s 4-year-old son Kash Biermann was bitten by a dog, and rushed to the hospital for emergency surgery! The Don’t Be Tardy star was scheduled to appear on WWHL but, obviously, abruptly canceled her appearance to be with Kash. Kim shared that post-surgery, Kash is doing amazing – even better than hoped – and shared an updated photo of him recuperating in bed (alongside a huge leopard-print blanket). Kash spent the night in the hospital, but Kim reports that he’s going home today! Kim thanked support from fans and Ninja Turtles for keeping Kash’s spirits up.